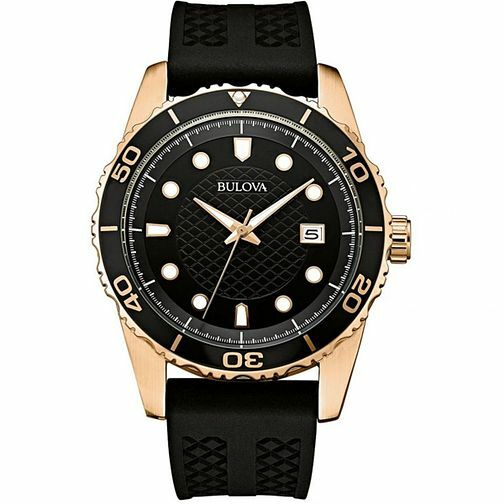 This sophisticated Bulova men's sports watch is great for everyday wear. With a black dial set in a stainless steel, gold, ion-plated case on a thick silicone strap. An easy to read dial with the white on black contrast gives you a striking design. Water resistant up to 100 metres. Bulova Men's Classic Sports Black Silicone Strap Watch is rated 5.0 out of 5 by 1.